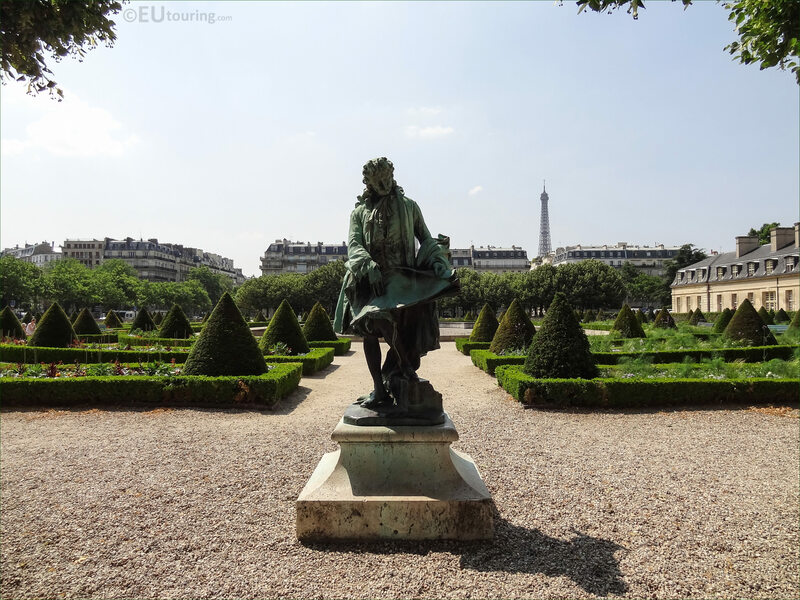 We were in the 7th Arrondissement of Paris at the Hotel des Invalides, when we took these high definition photos showing a statue of Jules Hardouin Mansart, which was sculpted by Ernest Henri Dubois. This first HD photo shows a statue of Jules Hardouin Mansart, which was sculpted in bronze to depict the architect wearing a wig and traditional coat from the 17th century, also studying a plan, and born in 1646 he became the Chief Architect for King Louis XIV and served as Superintendant of Royal Works, who also aided Liberal Bruant on the construction of the chapel located at Les Invalides. With a full name of Hotel National des Invalides, or Hotel des Invalides and an even shorter version of Les Invalides, this was a complex designed and constructed during the reign of King Louis XIV as a hospital and home for war veterans and wounded soldiers, which is why it was decided that there would also be a chapel for soldiers. After this was completed, Jules Hardouin Mansart designed the Eglise du Dome, which is where you can now find the Tomb of Napoleon Bonaparte, which has also become a resting place for many other military heroes, and so it was fitting that a statue of the architect for this church be erected within the grounds of Les Invalides. 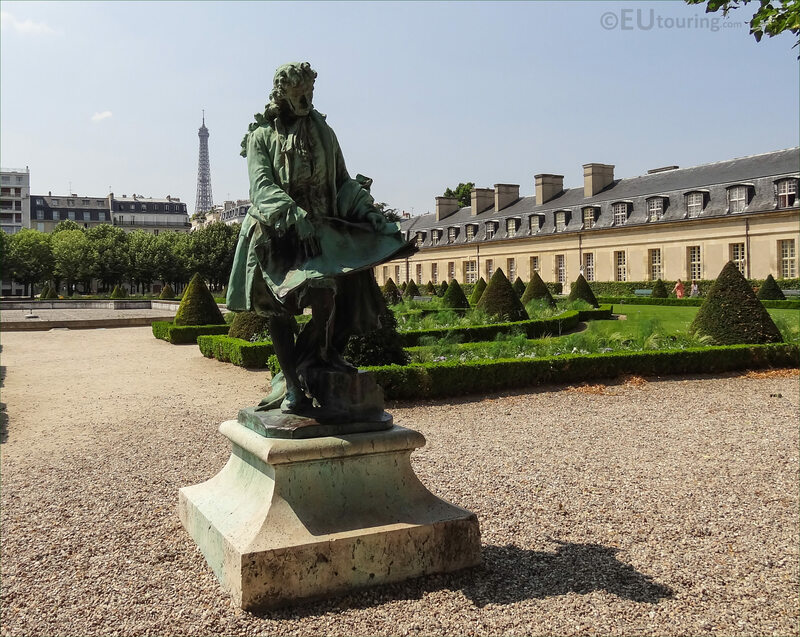 Now this particular statue of Jules Hardouin Mansart is located within an area of Les Invalides grounds called Le Jardin de l'Intendant, which was sculpted in bronze by Ernest Henri Dubois who was born in Dieppe in 1863 and studied first at the Ecole des Arts Decoratifs before entering the Ecole des Beaux Arts in Paris, studying to become a French sculptor. Ernest Henri Dubois received several commissions for busts, statues and monuments that can be found in numerous places throughout France plus abroad, along with this statue, which was completed in 1908 and placed within the gardens of the Hotel des Invalides in the 7th Arrondissement close to the church of the Eglise du Dome.